The comment period closed on Dec 1, 2010. Please visit the home page to learn more about how to help end mountaintop removal coal mining. Last April, the Environmental Protection Agency took a bold step toward curtailing mountaintop removal coal mining when it issued draft guidelines that reduced the practice of “valley fills” — which bury streams and poison Appalachia’s water sources — unless they met a high standard. The guidelines were just one of a series of draft rules issued that day that would reduce the impact of mountaintop removal coal mining. And every day since then, Big Coal has been arguing that the rules are too costly and need to be overturned. But now it’s our turn to be heard. The EPA is now accepting public comments on its proposed restrictions on mountaintop removal. Can you take just a moment today to tell the EPA to stand firm on limiting the devastating effects of mountaintop removal coal mining? Comments are due on December 1st. 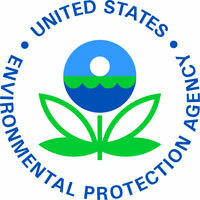 To learn more about this guidance visit the EPA�s website and regulations.gov. We can’t let Big Coal and their lobbyists and front groups frighten the EPA into backing down. That’s why we need you to take just a moment today to speak up and make your voice heard.